Samsung has expanded its array of personal media players with the Samsung Galaxy S Wi-Fi 4.2 officially unveiled at MWC 2012. Allowing users to enjoy all the benefits of Google's Android operating system without the ability to make calls and the cost associated with the handset components, the latest Galaxy PMP touts, as its name suggests, a 4.2-inch WVGA touchscreen display. Described by Samsung as “the best of Android experiences with powerful gaming on the go,” the Galaxy S Wi-Fi 4.2 enhances its gaming abilities by landing preloaded with FIFA 12 and a bevy of premium EA titles. 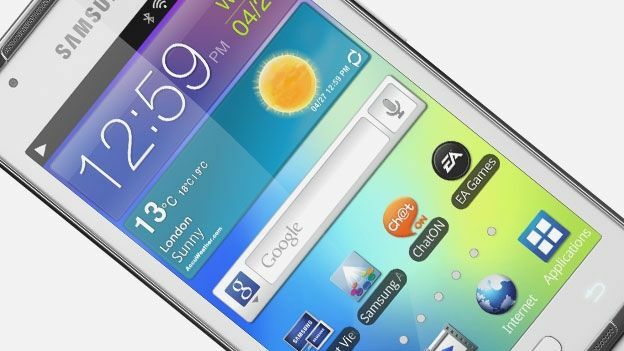 Landing alongside the expansive 4.2-inch 800 x 480p display, the Galaxy S Wi-Fi will touch down running Google's Android 2.3 Gingerbread OS with a 2-megapixel rear-mounted camera featuring alongside a second, VGA, forward facing snapper. Lining up at a minimalist 8.9mm thick, the Wi-Fi 4.2 touts the usual smartphone array of Wi-Fi and Bluetooth connectivity options with 512MB of RAM and the option of up to 32GB of internal storage via microSD card. As with the company's other MWC 2012 announcements that include the Galaxy Note 10.1 and the Galaxy Beam projector phone Samsung has failed to offer any release date or pricing information for its latest PMP offering. Is the Samsung Galaxy S Wi-Fi 4.2 a new powerhouse of the PMP scene or yet another iPod replicating wannabe? Let us know what you think via the T3 Twitter and Facebook feeds.